1Delivery and Handling fee. See dealer for details 2Custom Truck. See dealer for details. If you are looking for a truck which has a massive torque and can haul big loads with ease, you can’t go wrong with the all-new Chevrolet Silverado 3500HD, featured at our Englewood, CO showroom. We have a massive inventory of these mean machines. This heavy-duty truck has won the “Most Dependable Large Heavy-Duty Pickup” award two years in a row. The exterior of the new Chevrolet Silverado 3500HD, available in Englewood, CO, looks sturdy and masculine, and its interior is premium and comfortable. The cabin space is upscale and is a huge competition for the other trucks in this segment. That’s not all. The new Chevrolet Silverado 3500HD, offered in Englewood, CO, comes with Leather seats, Bose audio system, and Chevrolet Mylink are some of the features it offers. We also have flexible financing solutions for you. Sounds interesting? 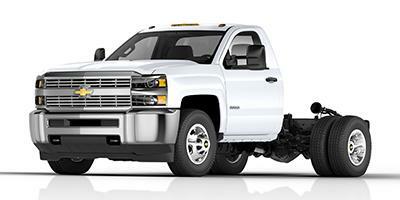 Drop by our showroom and test-drive the Chevrolet Silverado 3500HD in Englewood, CO today!